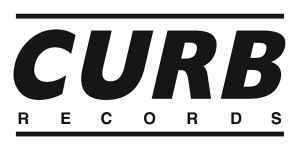 After MGM Records, who's president was Mike Curb, had been sold in 1974, Curb launched his own independent record label. It was first associated with Warner Bros, Records, later with MCA Records, who did their manufacturing and distribution. The label went more independent after Curb Entertainment International Corp. was formed in 1984. This company concentrated production and distribution for the label. Some more companies are involved here, as for example Curb Records, Inc.. In Europe the label is manufactured & distributed by Sony Music currently.